Being a woman myself and a computer scientist, I like females who have tendency towards science. Alan Turing, Charles Babbage, Umesh Vazirani, John Von Neumann, Bjarne Stroustrup, Mark Zuckerberg, the list goes on. These are the names, I heard usually during academic years. I used to think, why so many guys ?! The top programmers in my batch were boys too. That made me think whether it's the right field for girls. As boys are generally more tech savvy than girls. So while studying a programming languages course, when I came across a female name for the first time, I felt secretly proud at her. Don't laugh. It was Ada Lovelace. I was truly inspired by her as she was the first computer programmer and later remembered as Mother of Computer. I'm writing about the glimpses from her life that inspired me. Augusta Ada Byron was born in 1815. She opened her eyes in the house of a romantic poet and she was only legitimate daughter of the poet George Gordon Byron. After few day of her birth, her parents got divorced and she never saw her father again. Her mother kept her away from arts, so that she couldn't be like her father. She made her learn Science and Mathematics to keep her sane as her father was a provocative and moody. With such a turbulent childhood and backward society in terms of women's education, I'm highly impressed at her achievements. She was married to William King-Noel, 8th Baron King in 1835. She later became Countess of Lovelace when her husband was appointed as Earl of Lovelace in 1838. She died at an early age of 36, on 27 November, 1852. Being born in an era, when women were denied education, Ada wasn't supposed to get that too. But her mother made sure that she got good education. And Ada was herself good at studies, specially maths and sciences. Actually she was good at everything. She used to read her father's poetry too but never had any actual interest in it. She studied from some of the finest minds of England. She used to read everything related to science, her hands could get on. She wrote mathematical proofs, long before computers were built. Those proofs were later recognized as computer programs. 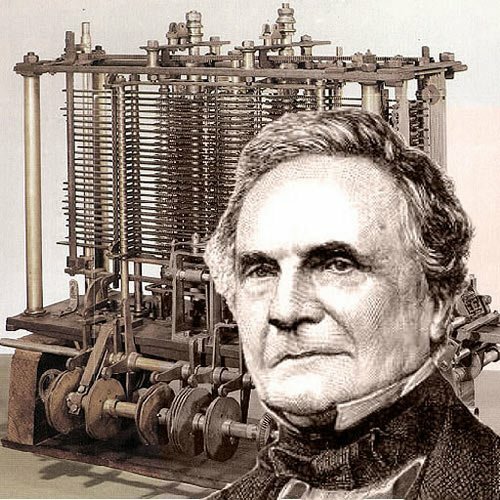 Father of computer, Charles Babbage was working on a Difference Engine at that time. The design was on just papers, he never built it because of financial setbacks. Later he invented an Analytical Engine for which he needed funding from the government too. He published a paper about it which was also published in a Swiss journal. From there Ada found about it. 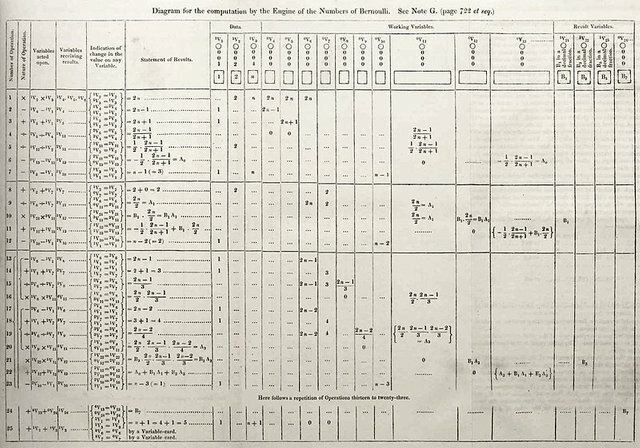 She translated the paper about Analytical Engine and made a lot of notes out of it and showed it to Charles Babbage. That was the first ever computer they were designing. There hadn't been anything built before which was remotely related to it. He was trying to compute complex calculations. Ada showed her how codes could be written with letters and symbols and could be handled by this machine. She believed that computer could do beyond calculating mere numbers. She also described how repeated set of instructions could be given to a machine, looping nowadays we use. These discoveries made her the first programmer. 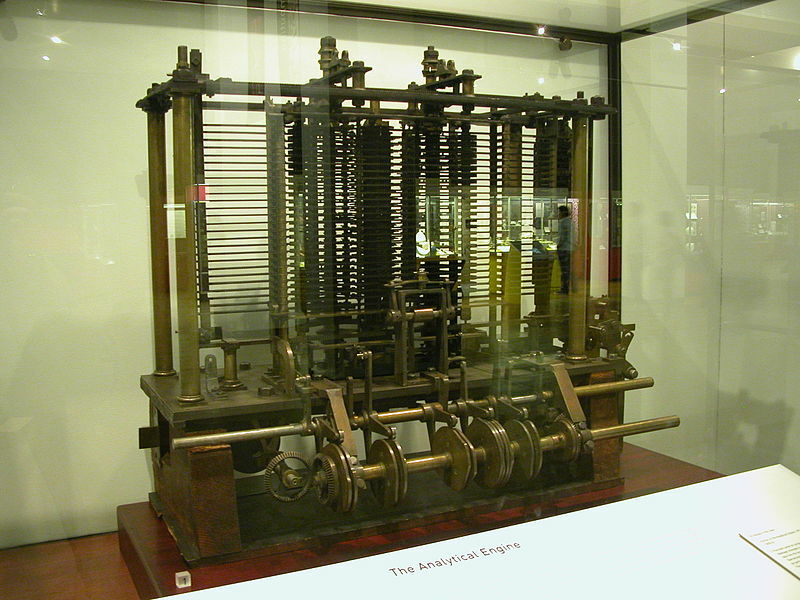 Analytical Engine which was Charles Babbage's invention and it is considered the world's first computing machine. Lady Lovelace played a great role in improving it. That machine consisted of four parts. Mill was a calculating unit similar to CPUs nowadays. Store was like storage or memory which we use nowadays in computer. Reader act like an input device. Data was entered through punch cards like Jacquard loom worked. Printer was an output device as we use nowadays. Ada proved that other than sequential order of computing instructions, this machine could jump on to other instructions depending on the data. I think she was talking about if else statements or jump commands we use nowadays in programming. Charles Babbage used to discuss computing and mathematical problems for years with Ada. She suggested him to calculate Bernoulli numbers and it was later considered as a first computer program. But they never tested the program because machine was never built completely. Ada's work wasn't appreciated in her life time. Though she made quite marvelous predictions and achievements in computing world before anyone. She was the first one to propose that computers can do more than calculating numbers. They could work on instructions. They could be used in creating graphics if given certain instructions. She was sure that computers would play a great role in the advancement of Science. She worked on optimization of algorithms too. That is still an unknown concept to beginners in this field. She used to calculate timings of the instructions while computing and devised ways to improve her programs so that timing could be reduced and thus the cost. Later in 1990s, articles were published about the work of Charles Babbage. In which it was repeatedly mentioned that it was wrong to regard Ada as a first programmer. Because she did only publicize the Analytical Engine. She didn't helped to improve or advance the design. It was Babbage who wrote those programs way earlier. However she was good at Mathematics. Analytical Engine also faced objections because Ada claimed that this machine could not analyze the instructions like its name. In short she denied Artificial Intelligence. And later Alan Turing wrote a paper about Computers and Artificial Intelligence which put Analytical Engine in a bad position. Long after her death, some people began to realize her inventions too which came true one by one. True side of the story is not known. However, people appreciated her work later. 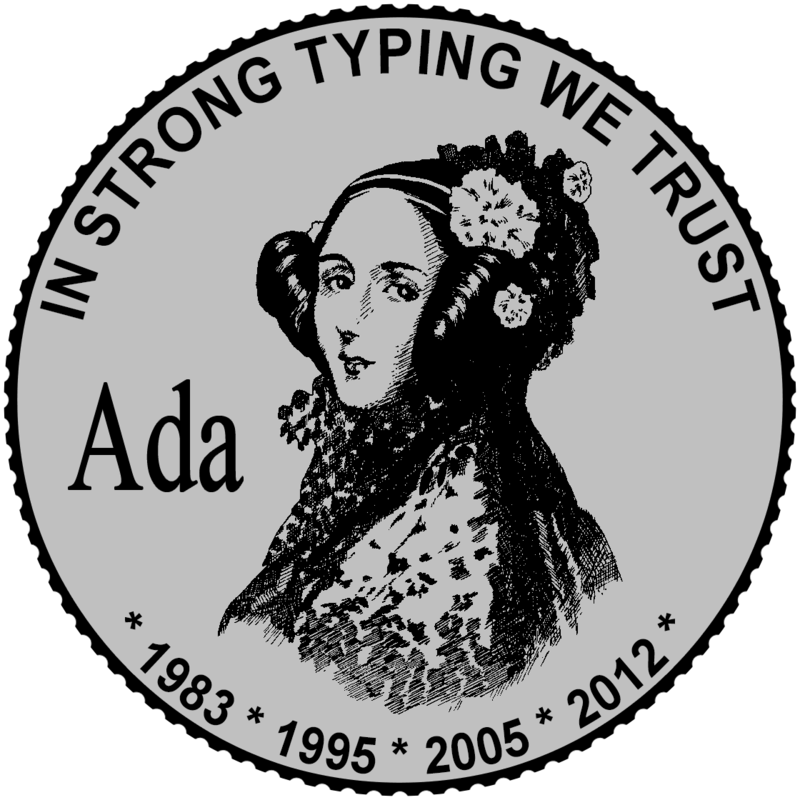 There is a programming language named after Ada as a memorial. Ada is a structured, high level object orientated programming language derived from Pascal language. Below is simple Hello World program in Ada. There are lots of colleges and universities named after her. 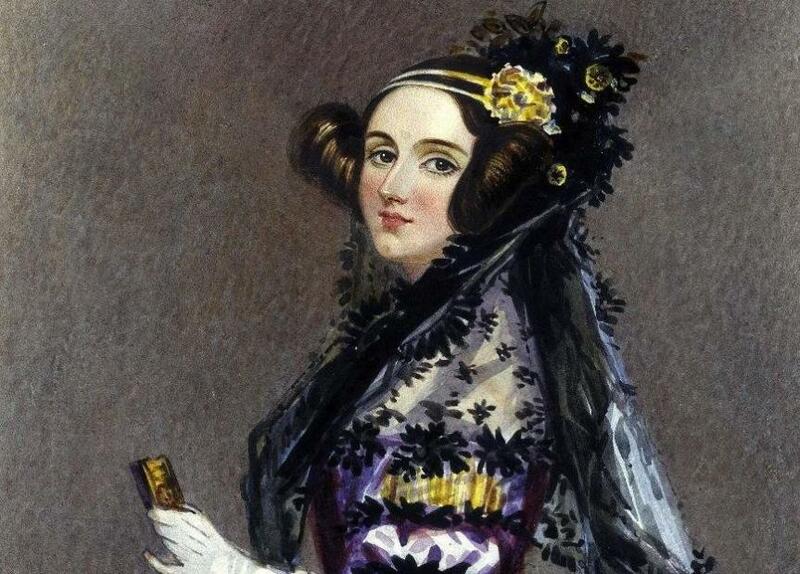 Ada Lovelace day is also celebrated in October. She is the first one who comes in my mind when people talk about Women in Science. Awesome to read more about Ada Lovelace! It's amazing how She and Babbage had the idea of automation when everything around them was mechanical. Their minds were truly centuries ahead of their time. She sure had some great findings along with Babbage. And yes, I'm truly amazed at them. How ahead they were from everyone. Thanks for the links I'm gonna read soon.